Rarity of the book. Obviously, the rarer the book the higher the value. But only if there is demand for it. If there isn’t much interest in the book, its price won’t be particularly high. Popularity of the author. Books by popular authors are particularly sought after and as a result, their prices are much higher than the prices of books by lesser known authors regardless of age and rarity. Edition. First editions are the most collectible. 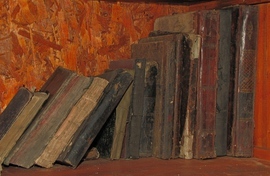 In addition, there are usually fewer copies and therefore first edition is always more valuable than all the subsequent ones. Elements within the book. An error that was later corrected by the publisher, illustrations by a famous illustrator and similar things can dramatically increase the value of the book in question. Signature by the author or handwritten notes by a famous owner. Book collectors prefer As New condition but a signature by the author or handwritten notes by a famous owner often have a major influence on the copy’s value. However, other factors will also be taken into account by an appraiser such as rarity of the signature/handwriting, edition and condition which is also an important factor in the value of the book. Condition. As mentioned above, condition of the book has a huge influence on its value. The closer the book is to as new condition, the higher the value. Wear, tears, stains, marks, missing pages/dust jacket, etc. always decrease the value. But if it is a really rare book, it may still be highly valuable. The prices of collectible books range from a few hundreds to a few thousands and even millions of pounds, and determining whether a book is worth a couple of hundred or couple of thousand pounds is not an easy task. The easiest and safest way to determine the value is to get an appraisal by an expert but it is also a good idea to make some research on oneself. It is worth to look at the catalogues and lists of books that were recently sold at sales and auctions. The Internet is another great place to learn more about the pricing for particular books. Keep in mind, however, that the asking price doesn’t necessarily indicate the value.